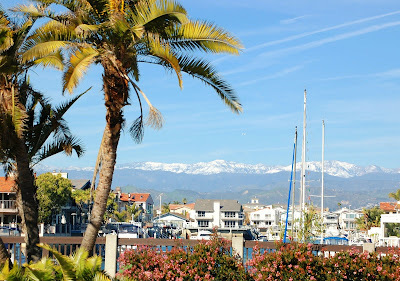 Ventura Dreaming: Super Tuesday - New Snow on the Mountains! 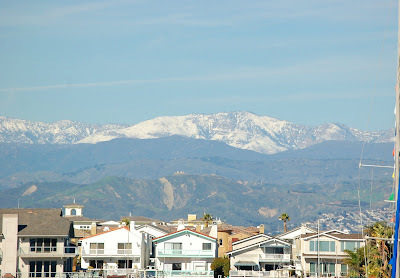 Super Tuesday - New Snow on the Mountains! Okay, I'm sure most people are no longer interested, but I'm still amazed by all the snow - new snow - that appeared after this latest storm blew through! 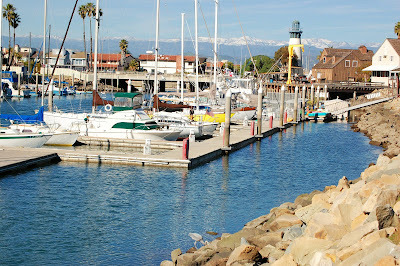 I went to the Channel Islands Harbor to take some pictures at lunch and was pleasantly surprised to see this Great Blue heron along with the beautiful snow panoramas! I uploaded them into a small format, but click on each photo to get a better look. 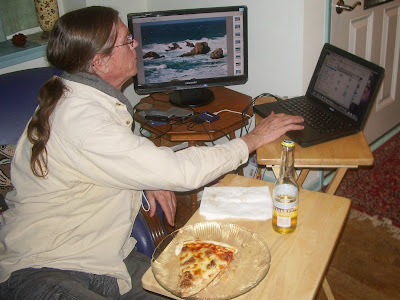 Alan came back in time to watch the election results but he also got a big monitor to make looking at the photos stored on his laptop more entertaining.